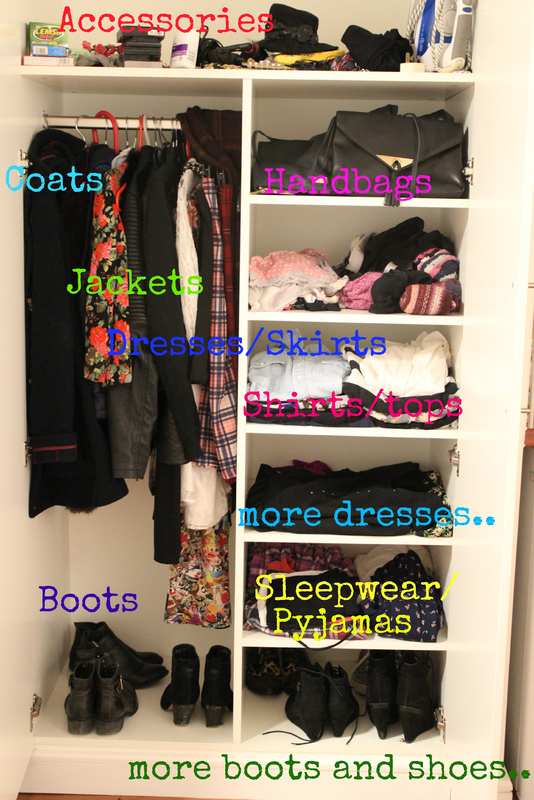 Today's blog post consists of a 'How I Organise My Wardrobe'. This is actually my wardrobe which I have in my University accommodation, I am pretty lucky to be able to have a wardrobe with a lot of sections and compartments. It also shows you how I sort my clothes a lot easier! I am quite an organised person, so it's always nice to clear everything out and rearrange. As it's got into the colder seasons, my style and fashion tends to change, so it was time I decided to sort it out and prepare myself for the colder weather. Key pieces that I have in my wardrobe are Black Jeans, a decent Winter Coat, lots of Boots, and a Denim/Tartan shirt. These are key pieces that I love and I will be wearing with different items throughout Autumn and Winter. Hope this has given you some inspiration when sorting your wardrobes for the new season!